Victoria’s first vineyard was planted at Yering Station in 1838. The Scottish-born Ryrie brothers ventured into the Yarra Valley as they moved their cattle south from Sydney. Taking up a grazing license of 43 000 acres, they named the property ‘Yering’, its Aboriginal name. The Ryrie’s planted two varieties, the Black Cluster of Hamburg and a white grape variety called Sweetwater. During the early 1850’s they returned to Sydney and Paul de Castella took ownership of Yering Station, developing the property from what remained primarily a cattle station into a landmark of winemaking in Victoria. Paul de Castella arrived in the Yarra Valley after traveling from his home town, the Neuchatel district in Switzerland. Many Swiss settled in the Yarra Valley around this time due to the sympathetic presence of the Victorian Governor’s wife, Sophie La Trobe, who also came from the region. Without them, the story of wine in the Yarra Valley would have been very different. During the 1850’s Yering Station began to take shape. Paul de Castella extended the vineyards and cultivated the varieties with new cuttings imported from France. The winery was built to accommodate brand new equipment imported from the 1859 Bordeaux Exhibition in Paris. A new house and garden were constructed and an avenue of 330 elms was planted along the driveway to welcome De Castella’s bride. In 1861 Yering Station won the Argus Gold Cup for the best Victorian vineyard. De Castella advocated for strong communication between vineyard and winery. For years the Yering Station vineyard was one of the largest in the area and as visitors and holiday makers to the Yarra Valley began to increase, wines from this new region began to make their mark on the world. In 1889 Yering Station won a Grand Prix at the Universal Exhibition in Paris. Only fourteen such awards were ever granted internationally. The winery received the sole award for a wine produced in the southern hemisphere. By the early 20th century, the Yarra Valley wine industry was in decline. The phylloxera epidemic had destroyed many Victorian vineyards and although it never reached the Yarra Valley, economic and social factors (such as palate preference) impacted upon cool climate viticulture in Victoria. The Yarra Valley area returned to dairy farming. It was not until the early 1970’s that, in response to the changing cultural demands of the new generation, coupled with the growing success of other Australian regions, the Yarra Valley vineyards began to thrive once more. After changing hands several times throughout the early-to-mid 1900’s, Yering Station was purchased by the Rathbone family in 1996. A further 100 acres of vines were planted and that same year a joint venture was signed with Champagne Devaux, a leading Champagne house in France, to make the now famed Yarrabank sparkling. The Rathbone family made plans for the development of a state-of-the-art winery to accommodate and complement the anticipated increase in winemaking standards. John Evans moved across from nearby Yarra Ridge to manage the expanding vineyards. In 2008, the winery team welcomed into the fold new Chief Winemaker - Willy Lunn. Willy Lunn has more than 25 years’ extensive and intimate cool climate winemaking experience both in Australia and overseas. Willy grew up in a small farming community in rural South Australia. His introduction to wine making was straight out of high school, working at Petaluma under the watchful eye of Brian Croser. Beginning as a cellar hand in 1984, he rapidly progressed to a senior wine making position. His attention to detail and focus on quality during his 15 years at Petaluma forged the “no compromise for quality” philosophy that continues to guide him today. 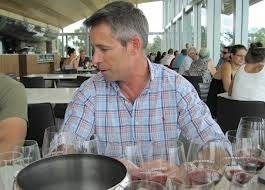 Following his period at Petaluma, Willy spent two years as winemaker at Shaw and Smith winery in the Adelaide Hills. A love of travel then led him around Australia and beyond, and in 1988 he worked at the Argyle winery in the Willamette Valley (Oregon USA) where he joined friend and mentor, Rollin Soles. Together, they started making cool climate sparkling wines that were later destined for the White House. It was at Argyle in those early days that his love of cool climate viticulture and ultra premium winemaking came to fruition. The landscape of the Yarra Valley has been formed by the erosion of vast mountain ranges over millions of years mainly through the action of water and gravity. The Yarra River, with its gullies and streams, has moulded the distinct undulating landforms and deposited sediments over the past 500 thousand years, resulting in segregating and grading the variable and unique soils throughout the region. At Yering Station, the loose earthy soils derived from the low rounded hills are used by Chief Viticulturist, John Evans to match each grape variety to each distinct soil type. The principal characteristic of the Yarra Valley is its cool temperature in comparison to the rest of Australia. It is probably Australia’s best-known cool climate region which is ideal for producing Pinot Noir and Chardonnay. The Yarra Valley has variable and long growing seasons, encouraging the expressive, distinctive varietal flavour and complex structure for which Yering Station is renowned. The mild, dry and at times humid summers are followed by a long cool autumn. Most of the annual rain falls during the winter and spring months. Frost rarely is a problem but can affect the lower vineyards from time to time. I first discovered Yering Station wine several years ago, and was immediately impressed by its balanced expression of a classic Australian Shiraz. At the time I had tried several "big reds" and they had all seemed very over powered by fruit and alcohol. I quickly realised that excellent and sophisticated wine was to be found in Australia but it was a case of being selective particulalry with so many large scale producers churning out supermarket style wines. For me, Yering delivers that big red, but with that "cool climate" refinement. The 2007 Shiraz-Viognier from Yering is an example of having to adapt to mother nature. A frost and a bush fire in the Yarra meant that the blend had to be reinforced with grapes from the excellent Heathcote area of Victoria and the combination really works. On the palate it is rich, fruity (plums, black cherry) and spicy with the oak quietly in the background. Not overpowered by alcohol, fruit or tannins. A hint of smokiness.....from the bush fire or perhaps just the oak? Plus this is a bottle which is pretty good value at £11.99. James Halliday says other vintages even better as more elegant, one for the wish list then. Being Victoria's first vineyard, I'll make sure the winery is on the list if I'm ever back in Australia - let's hope it's soon!